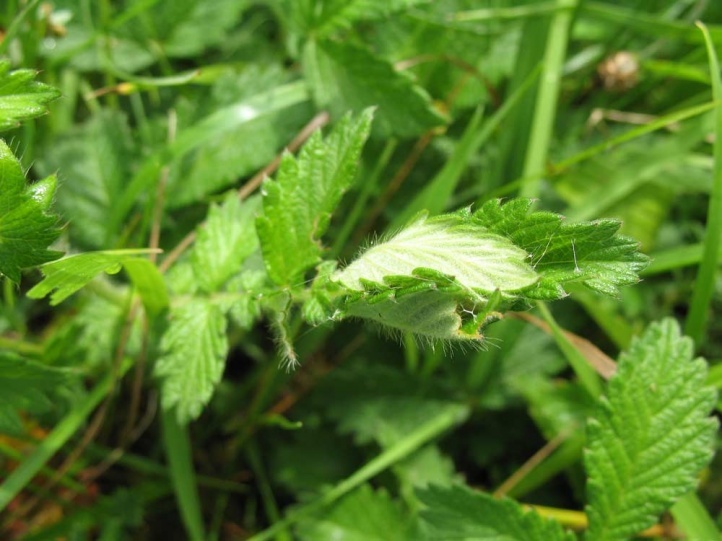 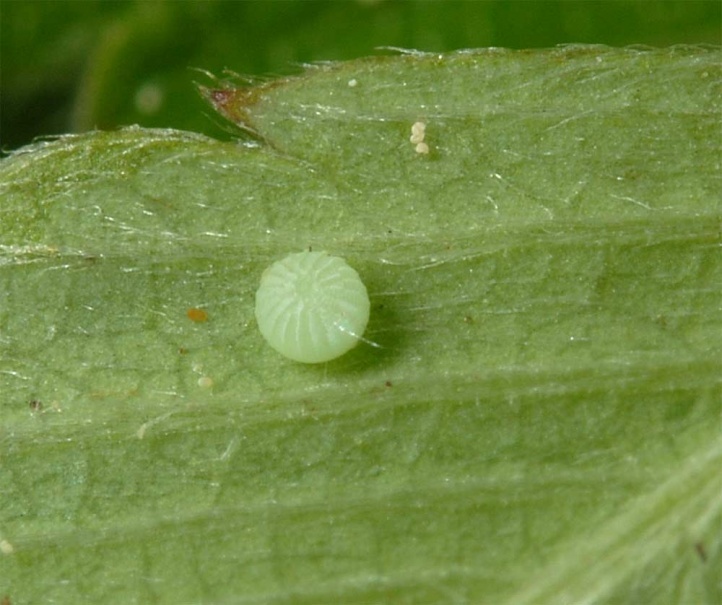 The eggs are deposited on mostly herbaceous Rosaceae like Potentilla, Agrimonia, Sanguisorba, Filipendula, Fragaria and occasionally also Rubus. 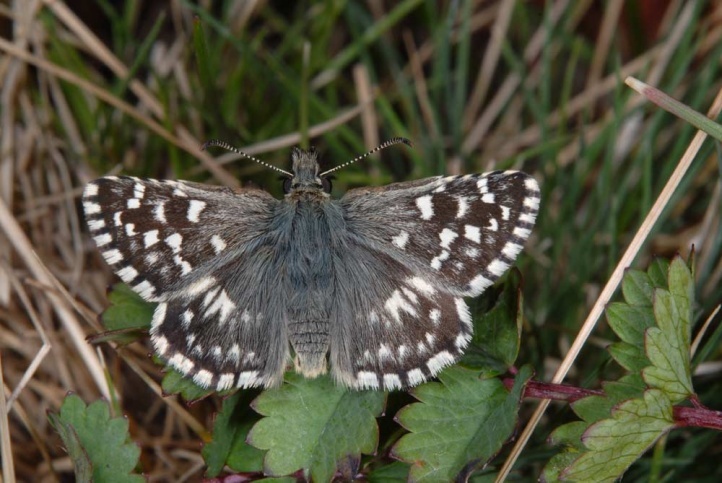 Pyrgus malvae colonizes open places like clearings, sunny forest edges, fens, nutrient-poor and dry grasslands, large embankments etc. 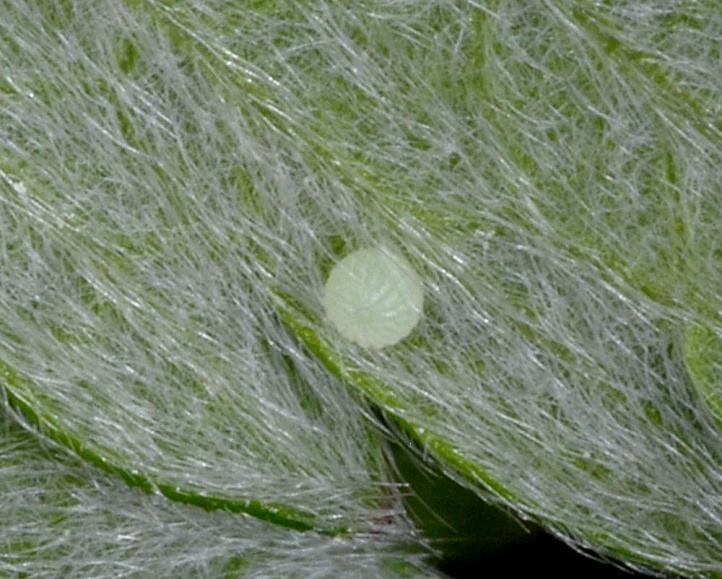 The eggs are deposited from little above the ground to several decimeters in height (e.g. 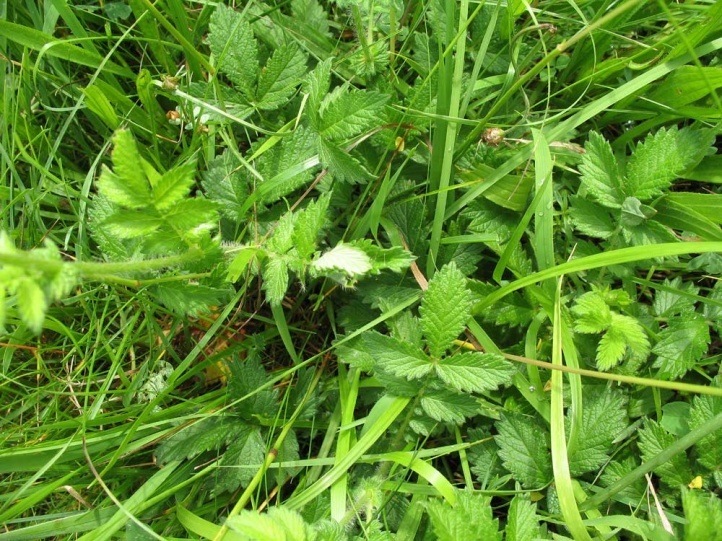 Meadowsweet, Filipendula ulmaria), so that there is no special microclimatic claim. 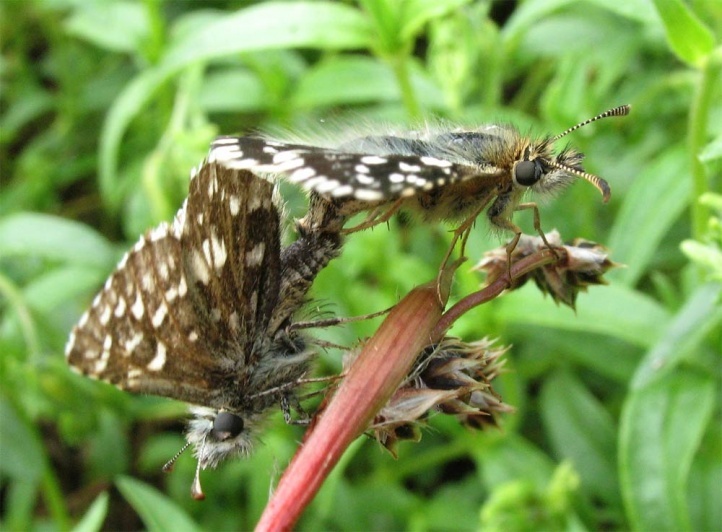 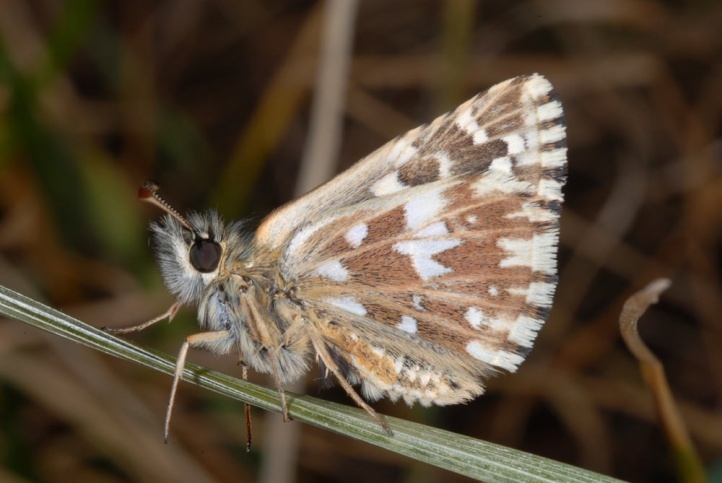 In other words, in lower altitudes the Central European growing season suffices also in microclimatically less favoured locations for the successful development and Pyrgus malvae shows no exclusive fixation on hot dry conditions. 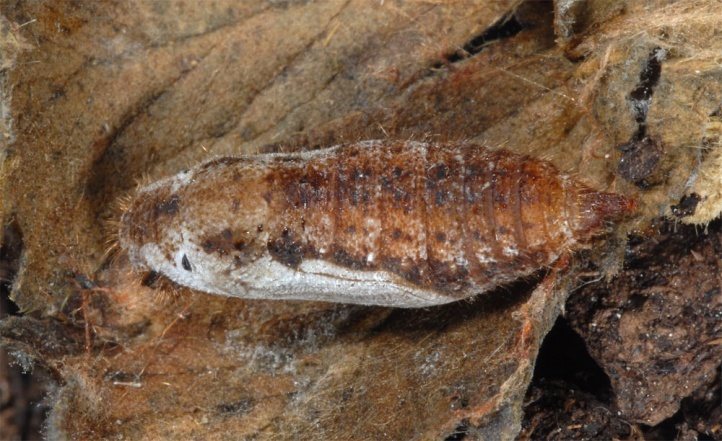 Hibernation takes place in the pupal stage and the adult flies from late March to early July, especially on mountains even later. 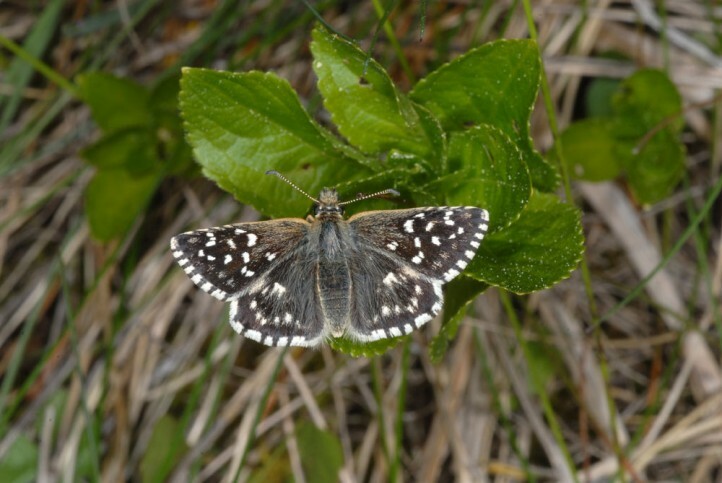 Very rarely a few individuals of a partial second generation emerge between late July and September. 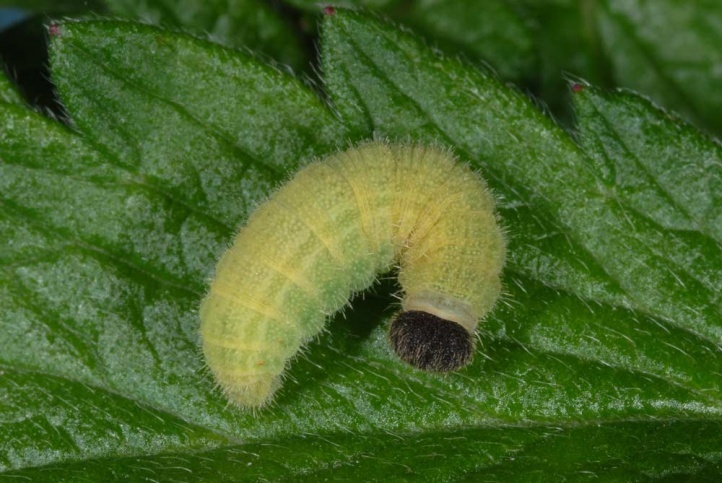 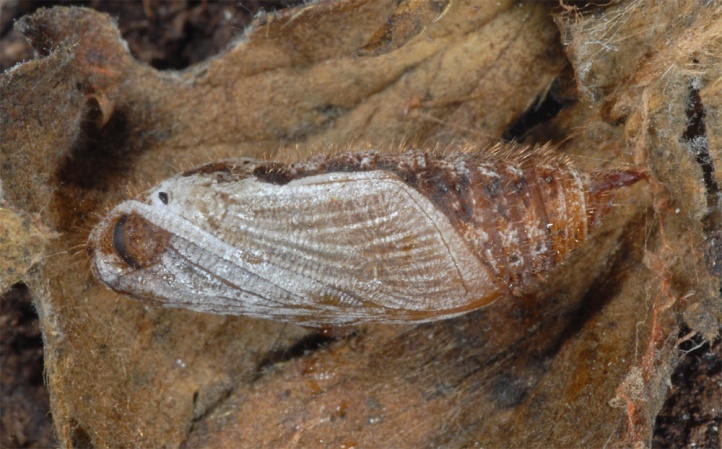 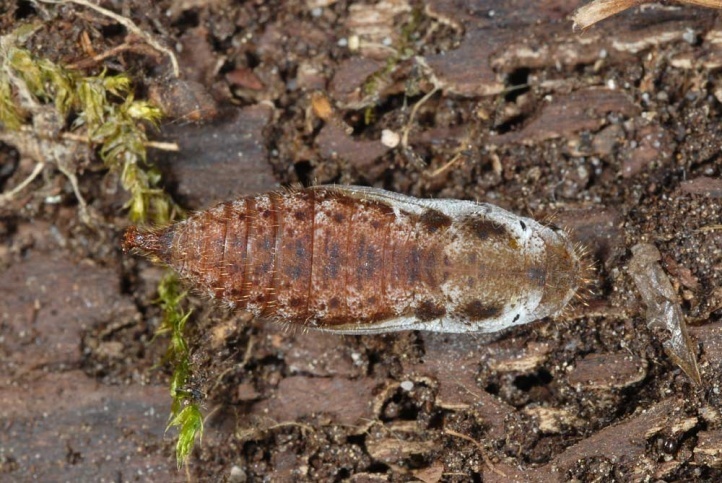 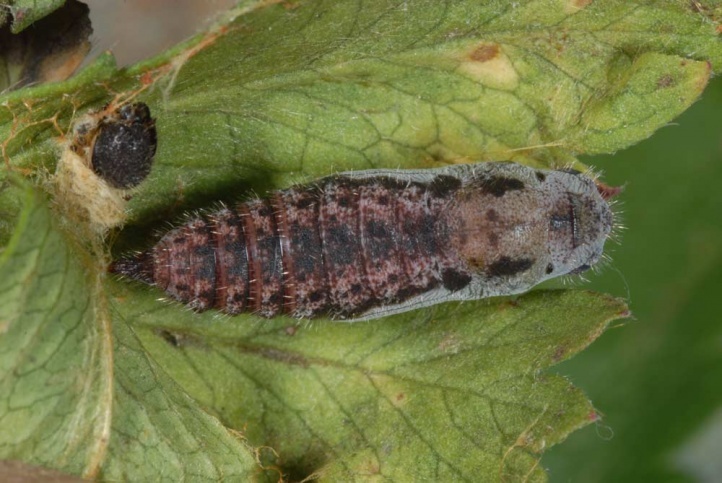 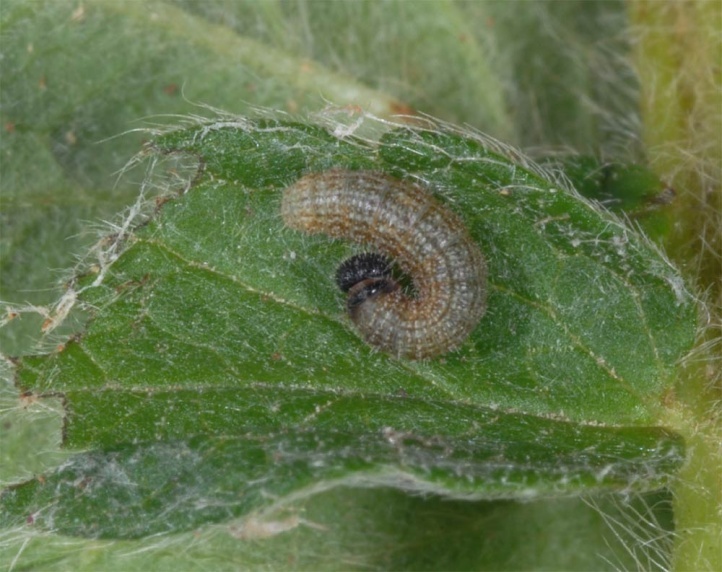 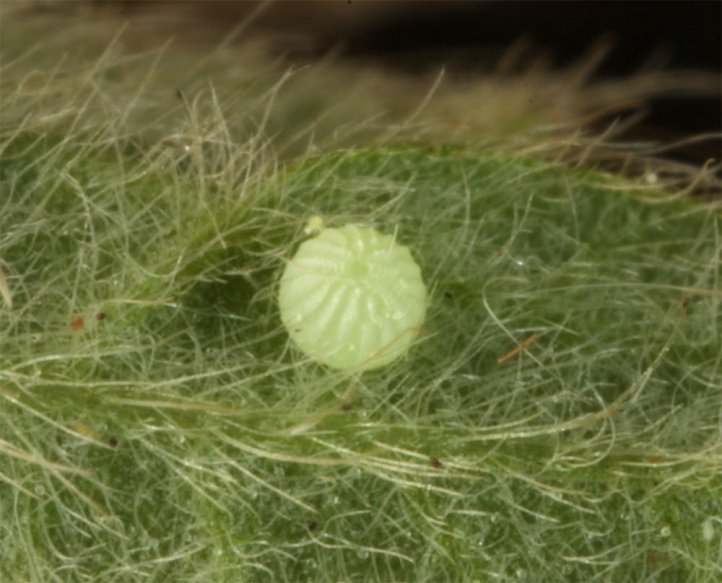 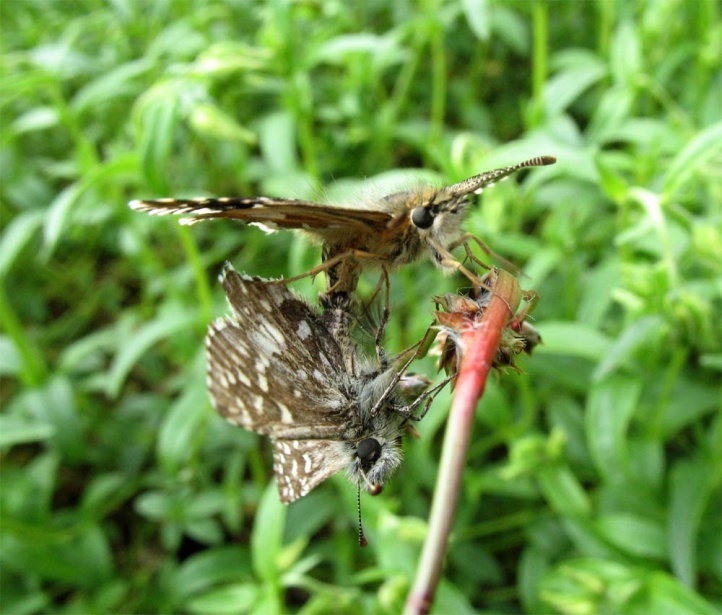 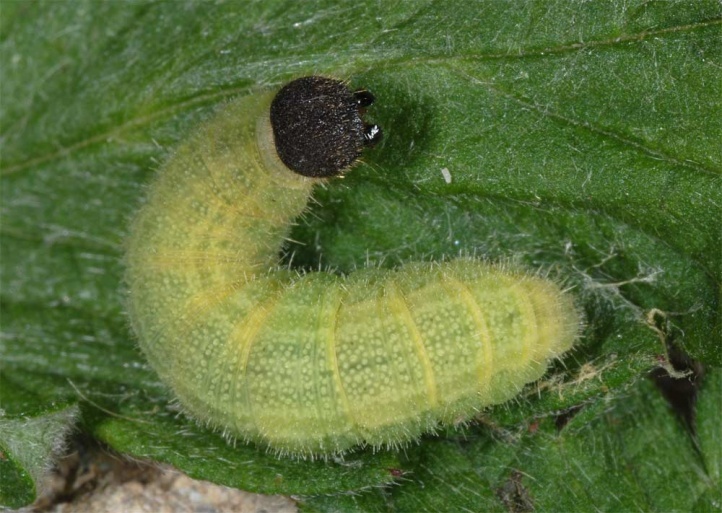 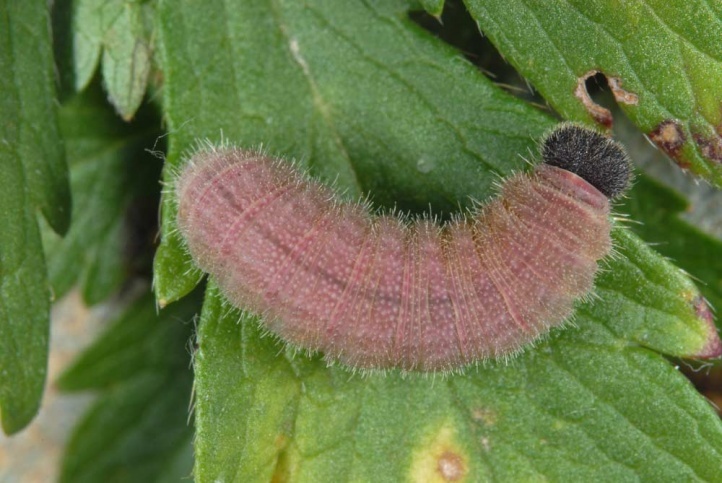 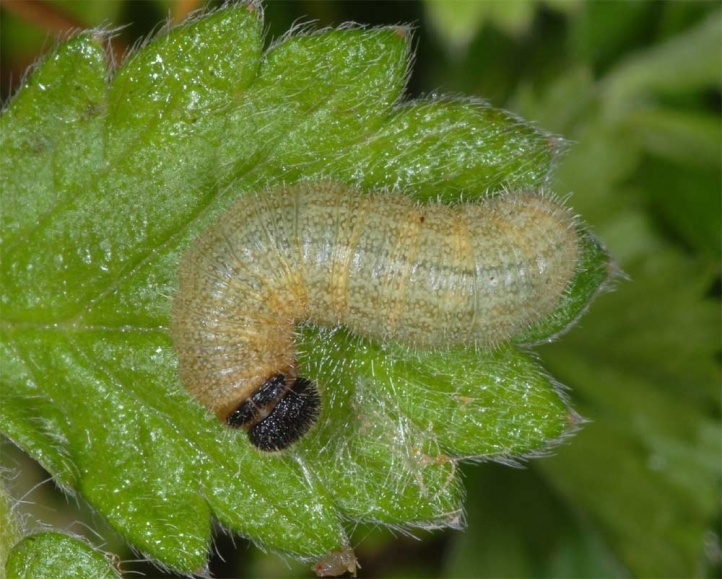 But late appearing adults from overwintered pupae fly at least until the beginning of July, maybe even later, so that the late-flying butterflies do not always necessarily have to belong to a second generation. 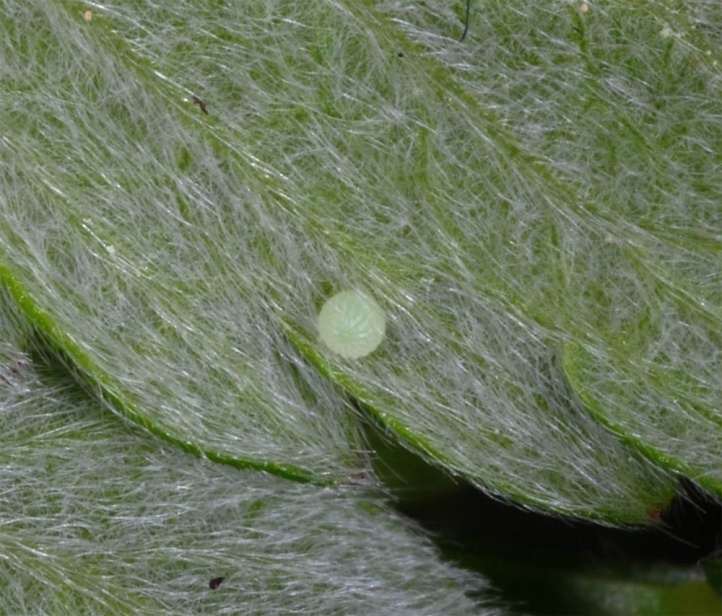 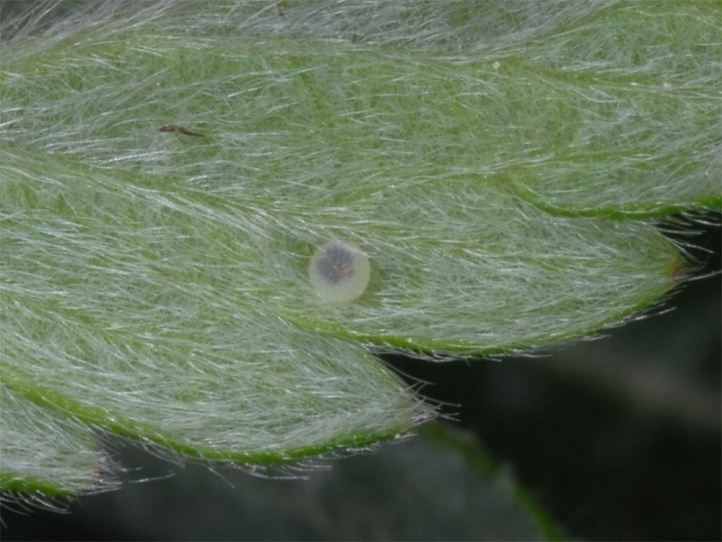 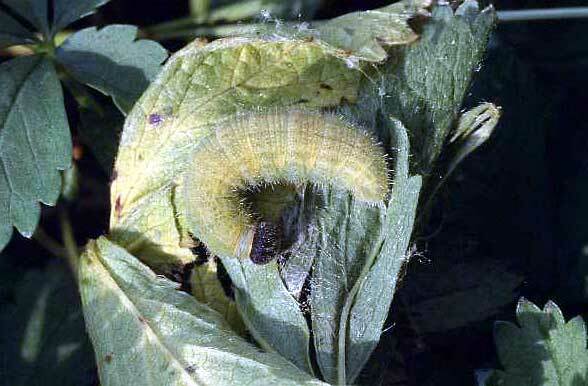 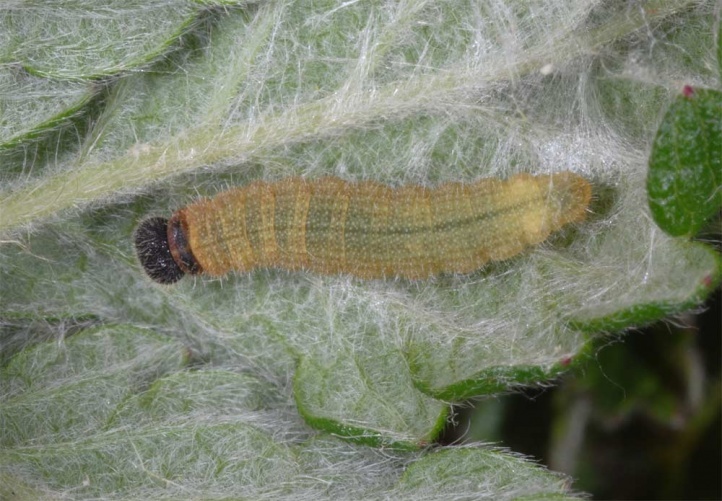 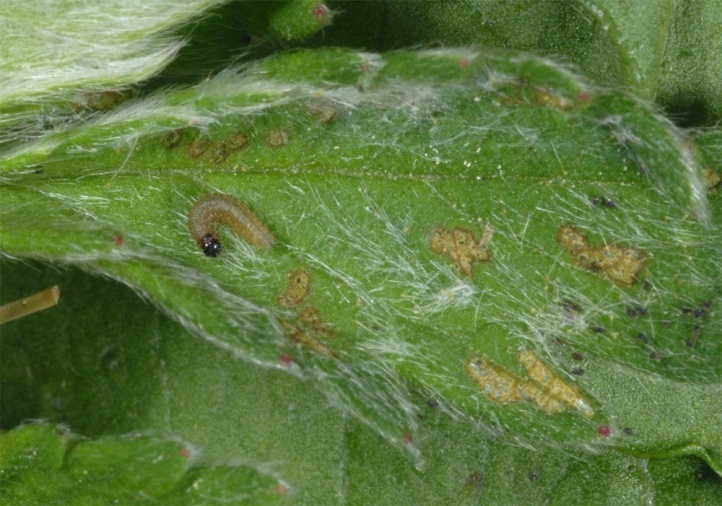 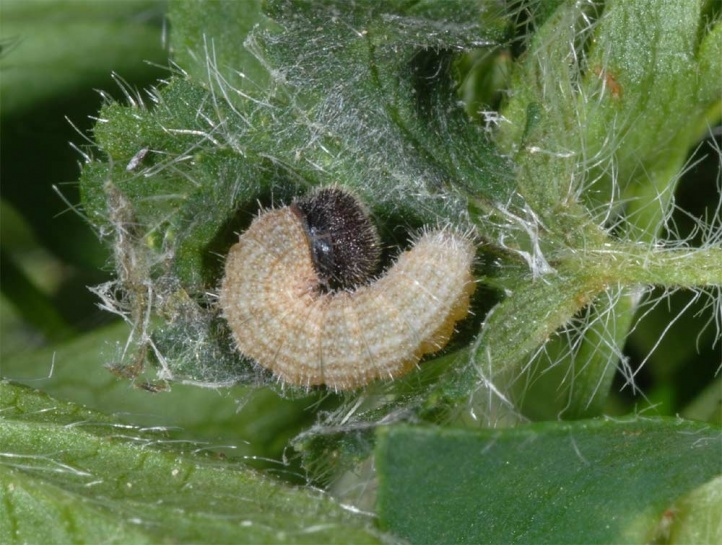 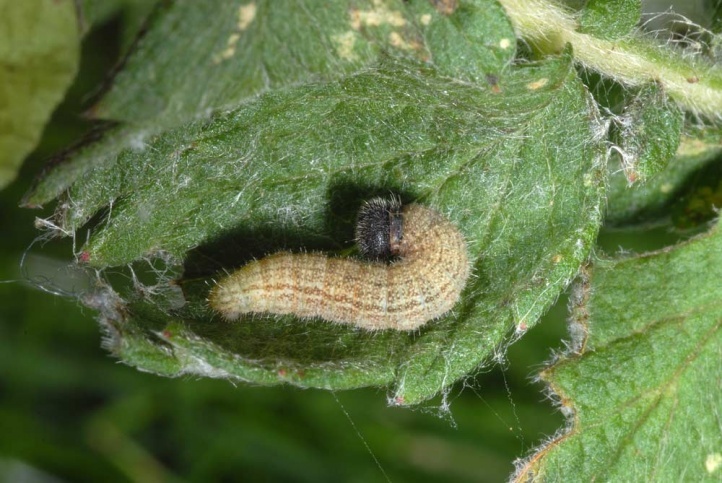 The caterpillars live until September in webbed shelters on the plant. 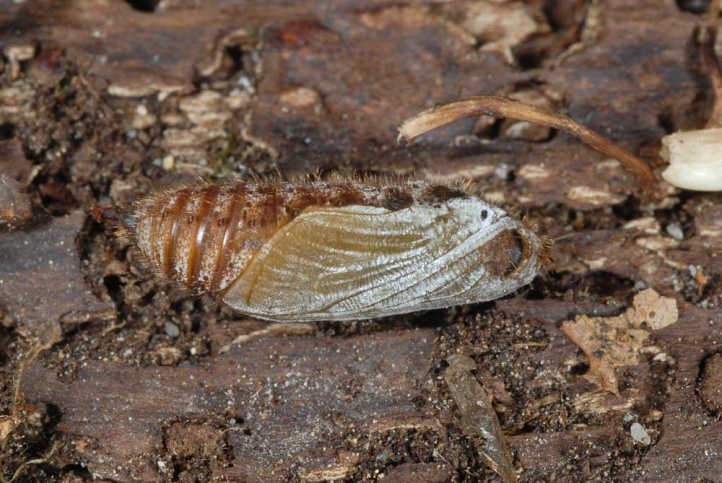 For pupation the last shelter is always left and a new one created in the litter. 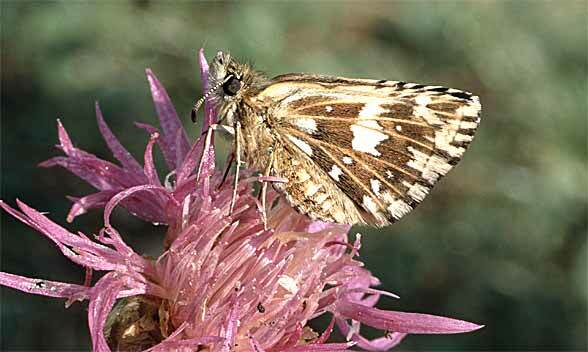 Within the genus Pyrgus this species is less endangered due to its relative adaptability. 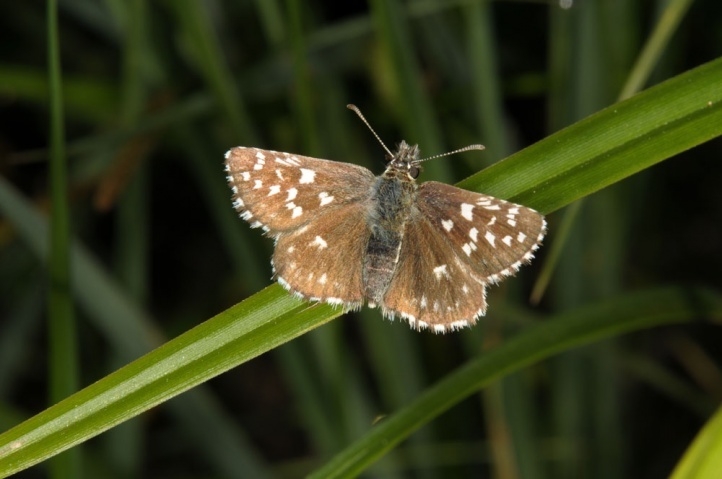 But the butterfly is missing in the entire intensively managed agricultural land, the entire human settlement area and in the dense, dark, unfortunately today usual forests (timber fields). 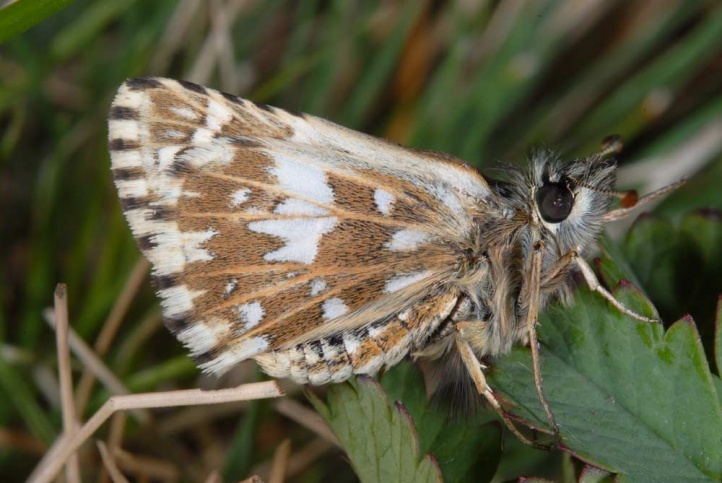 Pyrgus malvae occurs from northern France through Central Europe and Southern England to Eastern and Southeastern Europe. 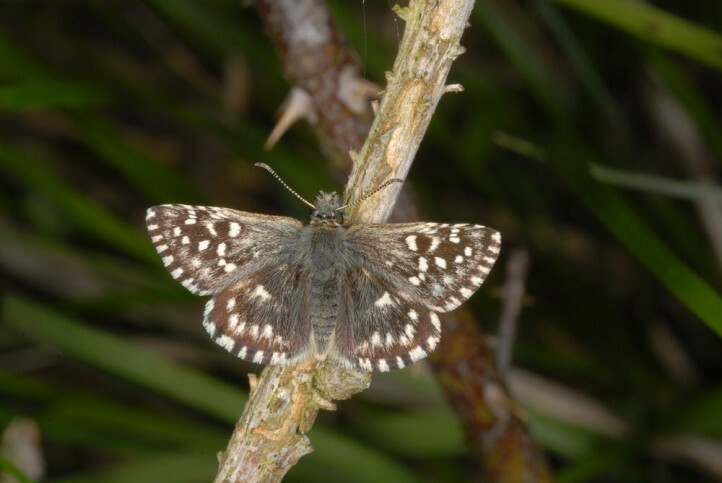 In the southwest it is replaced by the closely related taxon Pyrgus malvoides. 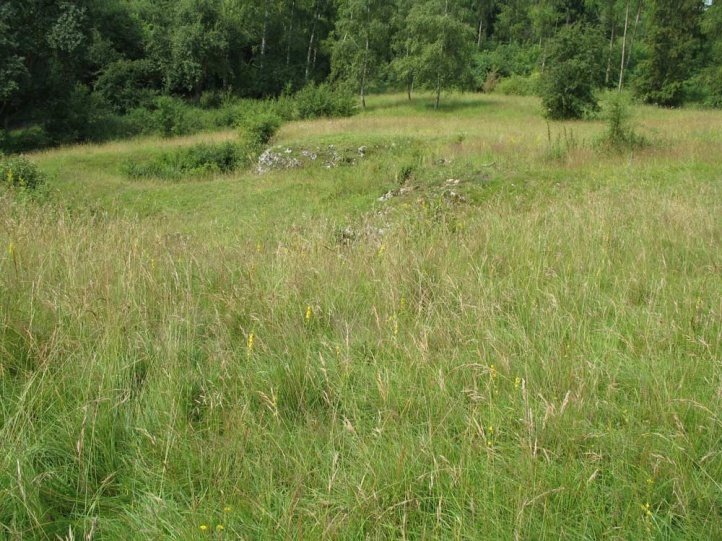 The border runs through the center of France, Switzerland, Austria to the Upper Bavarian Alps. 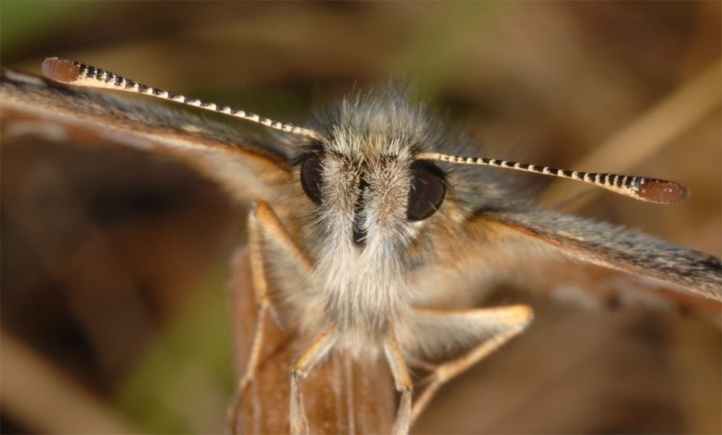 From there it turns south to the Adriatic Sea (Istria). 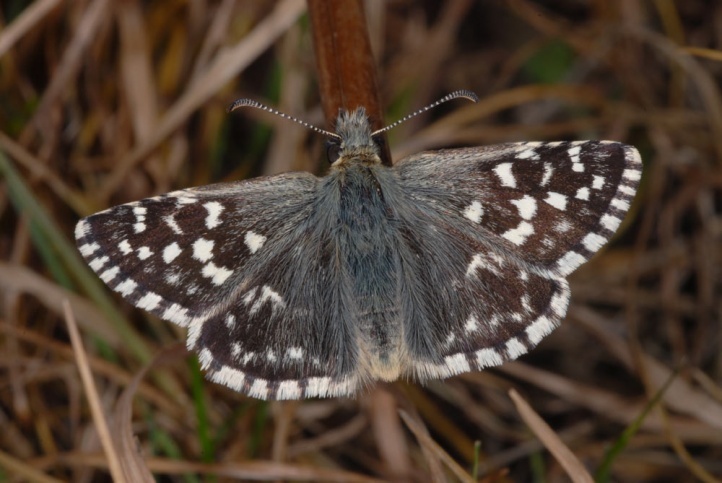 Thus further south in the Balkans, including Greece, only Pyrgus malvae occurs. 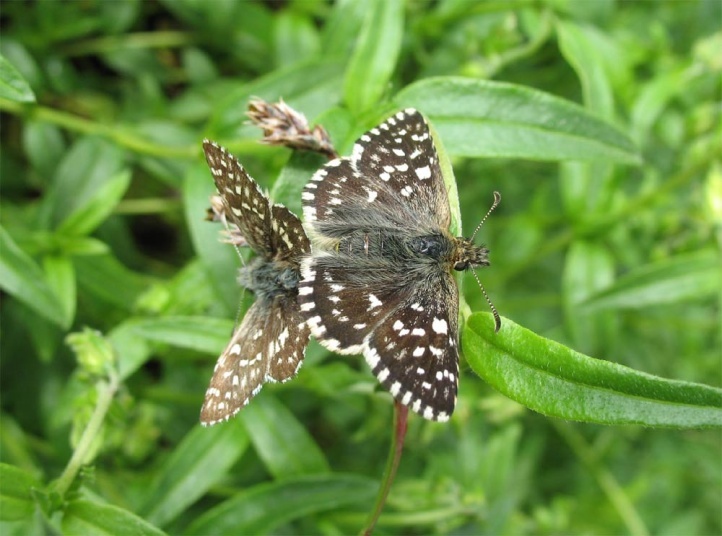 In addition, parts of temperate Asia to China and Korea are colonized. 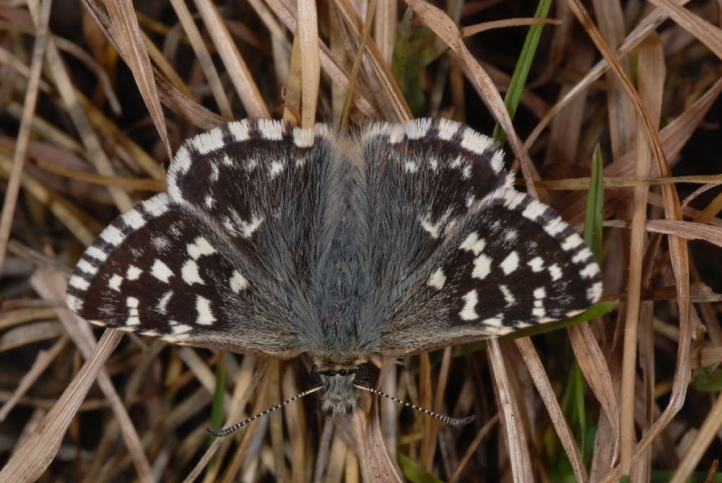 In the mountains (Alps) higher altitudes are settled only sporadically and at low density in contrast to Pyrgus malvoides. 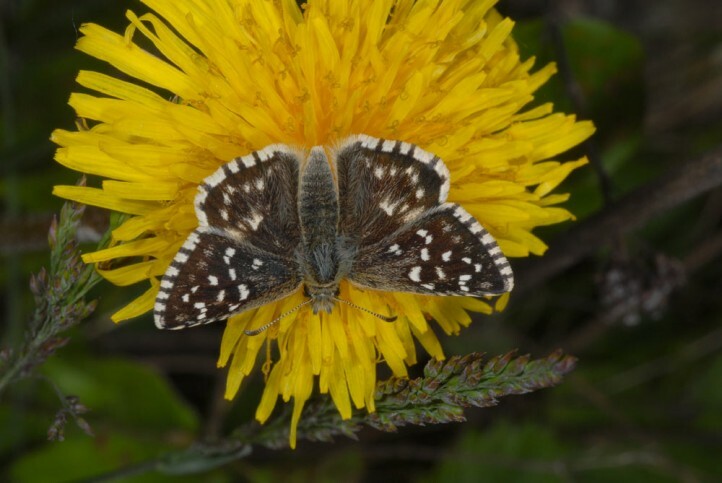 Pyrgus malvae is easily recognized because of the small size, the characteristic spots on hind wing upper side and the often reddish hind wing underside with its lighter veins. 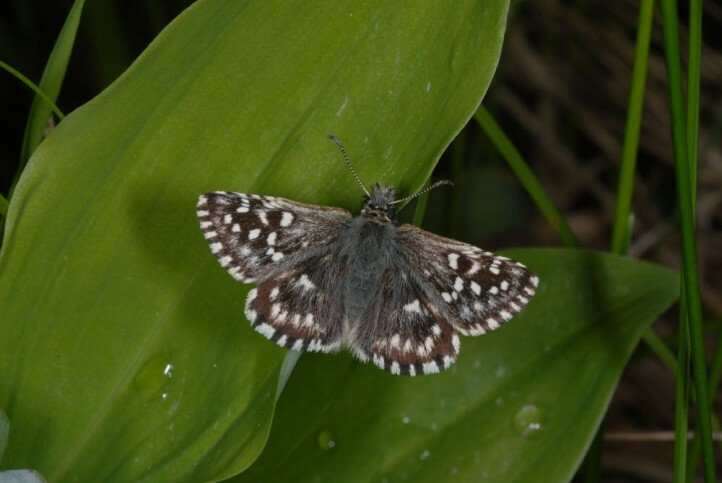 But in the overlapping area with Pyrgus malvoides only genital section results in proper determination.